So last week I found out that Mattias Eklundh, Swedish guitar monster was coming to Australia to do a series of clinics for Laney Amplification. Thanks to Australis Music and Better Music he was coming to Canberra too. I was very excited to hear this as he is one of my favourite guitar players. I’d consider him to be one of the most original guitar players to appear over the last 20 years. His command over the fretboard, and the ability to pull so many sounds out of just his guitar, a volume pedal, wah, and his amp is something to behold! I turned up about half an hour early, which meant I got a great seat in the first row. What was even better was that Mattias was already on stage warming up, and chatting to those who were there early. It was great to get in there and be able to chat fairly candidly with him before things actually kicked off. Without a backing band, and sitting on a chair on stage, Mattias is a very entertaining and funny guy. He kept everyone in stitches for the whole show, in-between playing songs. Some awesome Laney amps on display, including the new Iron Heart. The big theme for the night was what Mattias called “Growing your own moustache”. What he meant by this was coming up with your own sound, and being original. Mattias stated that he didn’t much like playing a lot of other people’s music, and that he would last maybe 23 seconds in a covers band. He was much more inspired by coming up with his own original stuff, even if it took a long time to come up with something that sounded truly unlike anyone else. Mattias also wasn’t really one for running speed picking exercises against a metronome for hours on end. He felt that once again that took away from coming up with your own sound, or “growing your own moustache”. Interesting melodies and sounds were far more important to him. Mattias certainly is no slouch though, and can still blast off crazy hyper licks at break-neck speed! I found this all very refreshing as I’ve not really been one for covering other people’s music, and have always preferred playing my own stuff. I’m never going to be anywhere near as good a player as Mattias, but I felt that on that level we were quite similar. Mattias also talked a lot about his approach to playing the guitar. He is not a fan of effects, as he felt it detracted from actually playing the guitar. The worries of batteries failing, and settings getting bumped were something that he didn’t want to have to stress about. Anything he wants to create can come from just his guitar, amplifier, volume pedal, and occasional wah. 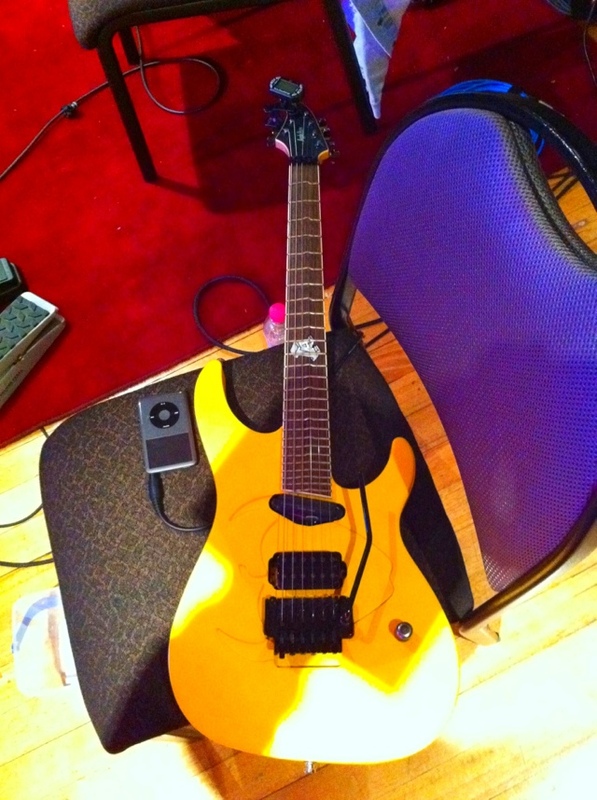 The sweet Caparison Apple Horn signature guitar. When asked about various things such as what his guitar was made of, signature pickups, and strings Mattias explained that these weren’t things that he really thought about. He wasn’t really aware of what woods his guitar was built from, or what specific string gauges he used for various tunings. He just left that stuff to his guitar tech. When asked about the signature Caparison bridge humbucker he advised that he was offered a bunch of different humbuckers to try out to decide what his favourite was, but at the end of the day he went with the first one, because he couldn’t really tell the difference anyway, and it all sounded good. The most important thing for Mattias was that the guitar felt good, and the amplifier provided the sound he was looking for. Mattias’ signature Caparison Apple Horns are now equipped with True Temperament frets. Many people had not seen these prior to the clinic, so there were of course quite a few questions asked about them. 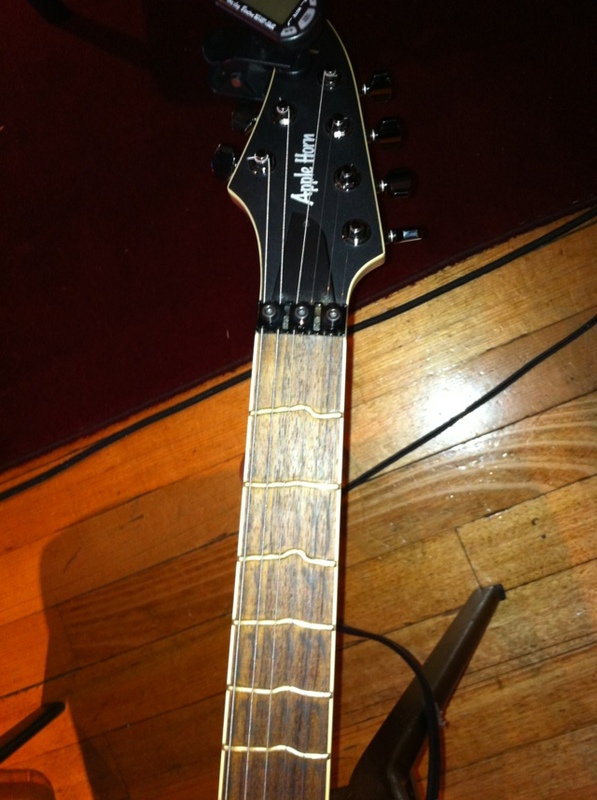 Mattias felt that the True Temperament frets were probably the most important evolution to the guitar since the string! Straight frets have always been a very bad compromise for the guitar, as it is impossible to accurately tune a guitar so that every note is perfectly in tune. The brilliant True Temperament frets. True Temperament frets are custom made to ensure that every note is correctly intonated. A “G” sounds like a “G” no matter where it is played. Looking at the True Temperament frets they don’t look like they would be easy to play or bend on, but Mattias explained that they felt just the same as regular frets, with the added benefit of always being in tune. Mattias talked a lot about odd time signatures and poly-rhythms, and using them in music. He got the audience to try and clap various poly-rhythms while stomping a standard 4/4 beat with the foot to show how no matter how crazy the timing seemed to be that the first beat of what was clapped would always fall at some point back on the first beat of the 4/4 timing again. Many of us weren’t quite up to keeping it all in time though! One of the biggest parts of Mattias’ “signature” sound is his use of harmonics. He is able to coax the most amazing harmonics out of his guitar, and many people were amazed by the sounds he could pull out of his guitar. Mattias explained how much of his sound was discovered through “accidents”, like just hitting the strings with his hands. He then refined the technique to only get the harmonic notes out and not the rest of the noise. Mixing this with subtle or extreme whammy bar use then makes the harmonics even more interesting and musical. In amongst all of this Mattias played a number of his fantastic instrumental tracks, as well as covers of La Bamba, and the theme to the film “Fletch”. Each song showcased his amazing talent and unique playing. A lot more was talked about during the clinic, and I’ve probably already written too much about it. Mattias is a lot of fun, and it really shows in his playing too. He reminded me much of Paul Gilbert. Both players believe that playing guitar shouldn’t be taken so seriously, and it should just be enjoyed by both the player and the listener. He is as real as they come, happy to talk to everyone, and have a joke around as well. If you get the chance to see Mattias do what ever you can to see him. He is a monster of a player, and extremely inspiring to boot. I know I got a lot out of his clinic, and I’m sure many others did too. 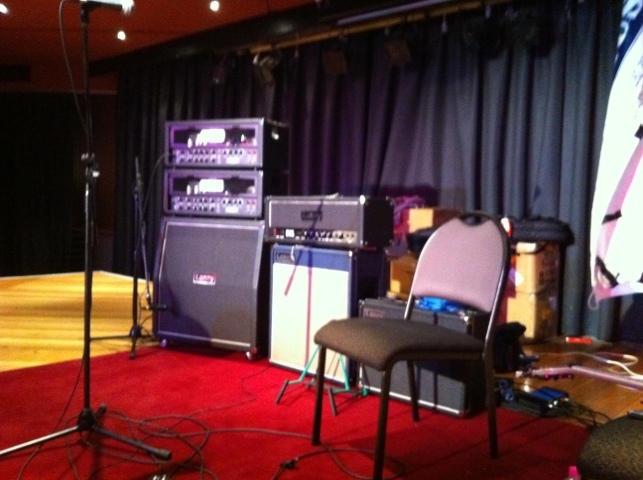 A big thanks goes out to Laney Amplification, Australis Music, and Better Music for organising the Canberra Clinic. 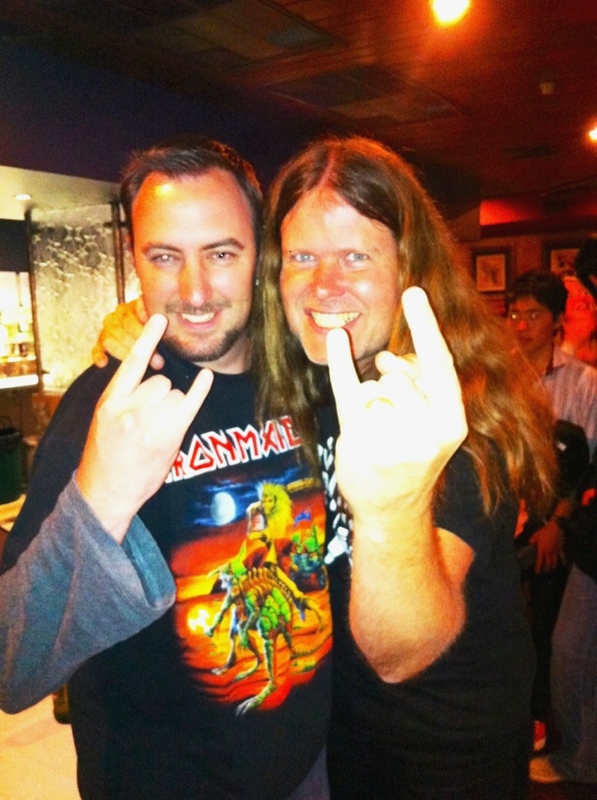 A huge thanks to Mattias Eklundh for coming to Australia and putting on an awesome show as well.